So Judy aka Princess Prisma is heading to Alford on the 5th of June 10:30 am to 3:30 pm, to show us some fantastic techniques with Prisma pencils and Prisma pens, come along and have a play or just watch and pick up some fantastic ideas along the way, see Judy's work here! Also we have been very lucky and we hae Kath popping along to demonstrate a vast amont of techniques and some of the gorgeus Hero Arts stamps, Tim Holtz inks, canvas and sewing techniques to name but a few things being covered, all of this is happening on the 12th of June 10:30 am to 3:30 pm, be early as we have even managed to get Kath to run a class for us, sign up on the day! You can see Kath's beautiful work here! 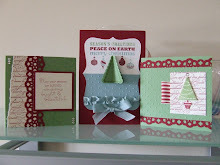 Just wanted to tempt you with some of Melodee's work and theres a few more sneaky peeks on her blog here!, don't forget to book your place on next weeks fantastic classes! I popped in with Kath last year when I was on holiday.Wish I could get to one of her classes though.Hope you have a fab day! Ohhh... here was me thinking I would pop over and see Princess (Judy) Prisma in action and I can't - judo competition in Inverness that day....drat!! !